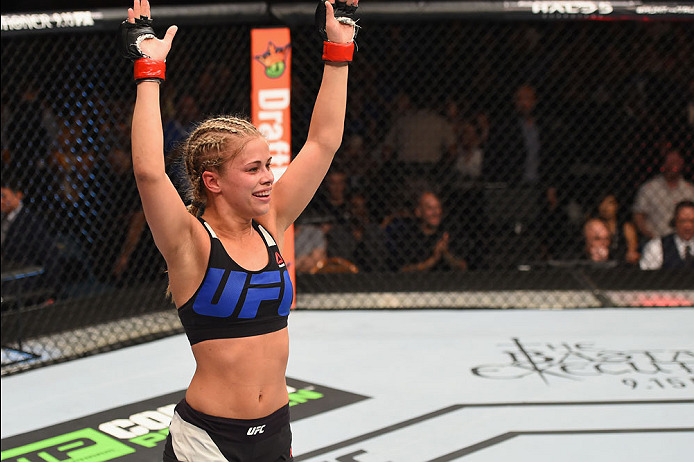 Fresh from a captivating stint on ABC's “Dancing with the Stars” that saw her soar to the finals of the hit dance competition, strawweight standout Paige VanZant will make her return to the Octagon on Saturday, August 27 when she faces Bec Rawlings at Rogers Arena in Vancouver, British Columbia, Canada. Tickets for the UFC Fight Night event, which also features a featherweight showdown between Anthony Pettis and Charles Oliveira, go on sale on July 15. Winner of four of her last five bouts, the 22-year-old VanZant showed her heart and determination in a loss to Rose Namajunas in December, but this summer "12 Gauge" Paige is looking to show the form that saw her defeat Kailin Curran, Felice Herrig and Alex Chambers. In TUF 20 alum Rawlings, VanZant will meet a determined Aussie contender who has won two in a row in the Octagon, turning back Lisa Ellis and Seohee Ham in impressive style.